New Jersey’s Department of Health’s Division of Medical Marijuana has released its biennial report and recommendations for the state’s program. The state’s program has seen major changes over the last couple of years, driven by Governor Phil Murphy who greatly expanded it. But with growth has come growing pains. Based on analysis of average monthly purchases, which determined while many patients buy less than the 2 ounce statutory limit, a significant percentage purchase up to the limit. It recommends raising the monthly limit over a period of time for all of the state’s registered patients and eliminating the statutory limit altogether for patients with a terminal illness. Another recommendation notes while medical cannabis prices in the state are not “excessive”, high prices are having the effect of artificially suppressing demand from patients. It also states legal medical cannabis prices were higher than those charged in the illegal market for approximately half of New Jersey’s patient population. Additionally, as every ATC (alternative treatment center) has experienced product shortages during the study period, the current market assessment supports the need for additional ATCs (An ATC is how dispensaries are referred to in the state). The report also says less than half the state’s population is within 30 minutes’ drive of an ATC – and that’s under a best-case travel scenario. 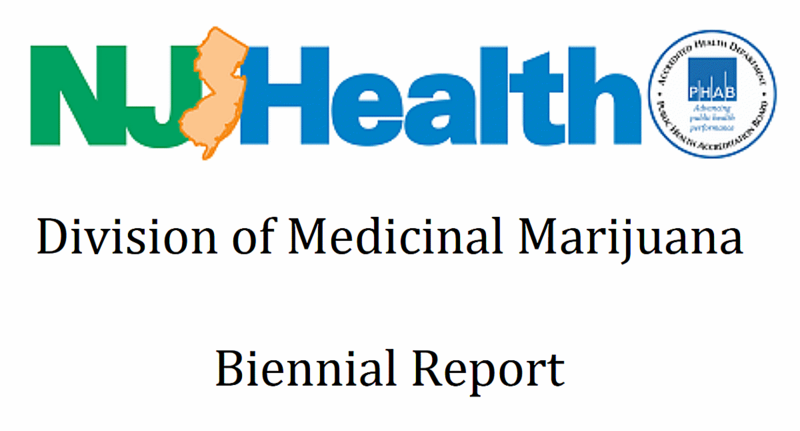 The report recommends the absolute minimum number of cultivation sites needed to meet projected patient demand for medicinal marijuana in New Jersey in the future is 24, plus over 50 dispensary sites. “The best way to reduce prices is to expand supply and increase competition and choice for patients,” says NJ Health. The full biennial report can be viewed here. Meanwhile, Governor Murphy is getting a bit antsy about changes to the program he wants to make – including boosting dispensary numbers. There’s currently a tussle over bill related to recreational marijuana that would also expand the state’s medical marijuana program. According to NJ Spotlight, Governor Murphy will give the Legislature until the end of May to get its act together; failing which he will focus on the medical issue.